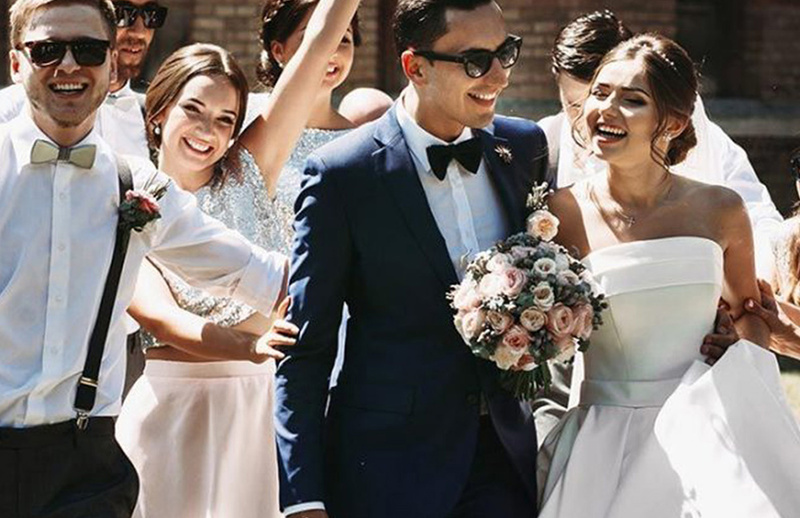 Perhaps the wedding is going to be conducted by the sun-kissed Mediterranean coastline, or perhaps the bride wants to tone down the formality, but whatever the motivation it’s perfectly possible to wear a linen suit in a way that looks cool, rather than colonial. The first decision is about the colour. Dark blue looks smart, and although it might not be in the spirit of a casual dress code, it can also be worn for business on hot days; navy seersucker will also perform in these two arenas. As far as colours of linen go, white is very striking, but presents maintenance issues and should be kept well away from red wine. Better to go for pale colours like tobacco and cream, both of which look right in very hot weather (don’t expect to get much wear out of them in the UK), and to go for a heavy linen that will rumple attractively, rather than crease. Perhaps the most chic colour is chocolate brown, which looks superb with a pale blue shirt, but this really only works on men with olive coloured, or darker-hued, skin. To remain as comfortable as possible wear a linen shirt, a textured silk tie (perhaps an unlined grenadine) and brown suede shoes.